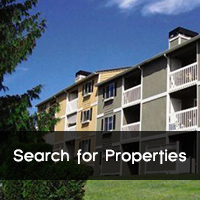 Contact with tenants is an integral part of ensuring your investments are taken care of. As a real estate investor, you may have a varying level of contact with your tenants, depending on whether or not you use a property manager, and how much that manager handles for you. In a perfect world, every tenant would pay all their rent on time every month. Unfortunately for the real estate investor, we don’t live in a perfect world. A tenant’s failure to pay rent on time is a violation of the lease, but do you always want to move for eviction? The tenant payment agreement can help you stay on top of your tenants, while at the same time giving them the opportunity to catch up. A lease is a legally binding contract between a tenant and a landlord. As such, you should limit your discussions of issues in the lease and rental property to those on the lease. It may not seem like a big deal, but you could become legally liable for any third party disclosure. 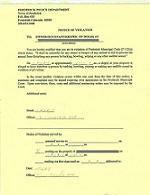 Update: You can now download a sample Termination of Tenancy Form. At some point, it will be time to tell a tenant that it’s time to part ways. The 30 Day Notice, or Termination of Tenancy Notice, must be issued to the tenant to begin the process of removing a tenant from the property, unless you are evicting due to non payment. If you are evicting due to non payment, you will want to issue a 3 Day Notice, or Notice to Pay Or Quit, prior to issuing a 30 Day Notice. Before we get into the meat of how 30 Day Notices work, please note that this is written based on the laws in my local jurisdiction. Please consult your lawyer prior to initiating any legal action against a tenant! Update: You can now get a sample Letter of Violation [here]. It should come as no surprise that occasionally, a tenant won’t do what they are supposed to. It could be something as simple as not moving the garbage bins back from the curb (which is a $55 fine in Buffalo, last I checked), to not mowing their lawn (also a fine in Buffalo, but I can’t recall the amount.) If these are things that the tenant is responsible for in the lease, you should write and serve a Letter of Violation. 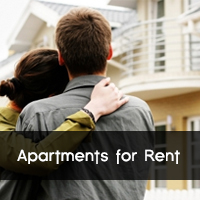 Entering an occupied apartment can be a challenge for a landlord. 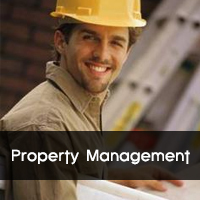 Many tenants will not have an issue with the landlord entering their property as long as they are notified. However, uncooperative tenants insisting that you can’t come in, even to do maintenance, can be a real headache. And the tenants do have their rights. Generally, as long as the tenant is quietly enjoying their apartment as defined in their lease, you must provide notice before entering their unit.